Welcome to Aunt Bee’s Kitchen, full of good food & good conversation. Each month we will be posting a new recipe that you can make & enjoy with your family & your friends. 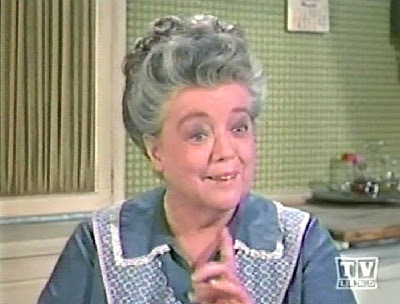 Aunt Bee had many specialty recipes such as Kerosene Cucumbers, Ammonia Marmalade, & many, many more taste sensations. * 1 (10.75 ounce) can of cream of chicken soup. for 8 to 10 minutes. Drain. 2.) Stir in cream of chicken soup. 1/2 cup of water & shredded cheese. Hear mixture until cheese melts, stirring often. until mixture is heated through. Let mixture thicken. Serve. Look for another fun recipe soon.